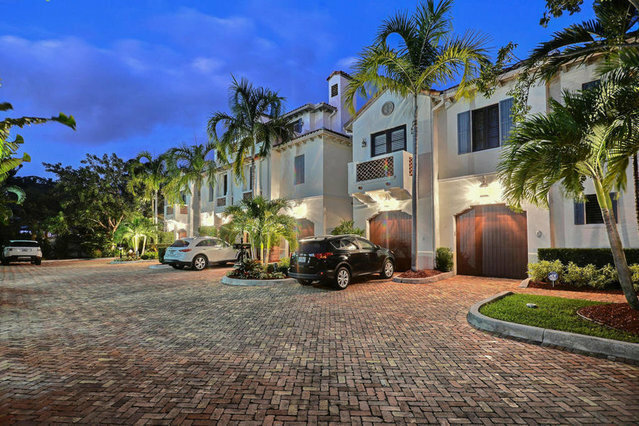 Live on the Intracoastal in this Old-World Mediterranean style townhome. Private and secluded, this home offers extensive privacy with a private yard featuring pool. Some of the other features offered in the home include gourmet kitchen, wet bar, elevator, and two car garage. The Master bedroom boasts walk in closets, his and her bathrooms, and large bedroom space. Just a short walk to Atlantic Avenue.